The Canyon Fire at Vandenberg Air Force Base has burned nearly 10,000 acres, as of Tuesday morning. 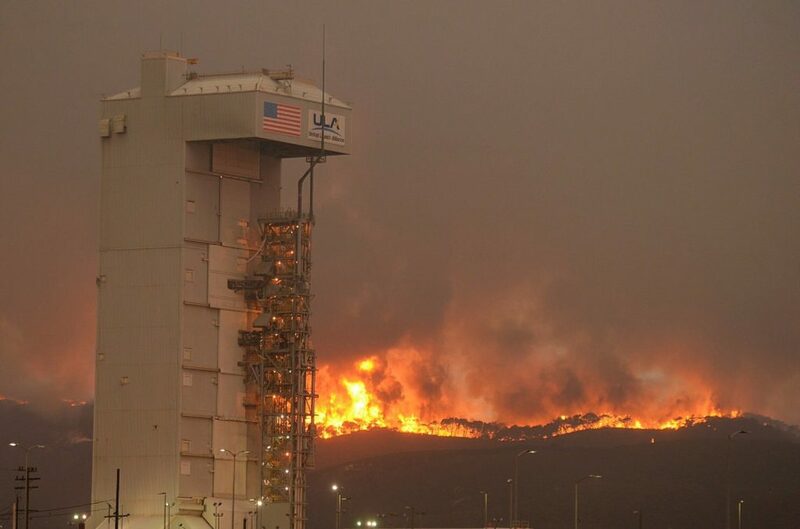 The blaze is threatening multiple structures at the base, including Space Launch Complex-3, which is currently housing the Atlas V rocket and WorldView-4 satellite. Air Force officials planned to launch the rocket and satellite on Sunday, but the launch was delayed as a result of the fire. The launch was originally scheduled for Friday, but it was initially postponed due to a minor leak that occurred while loading fuel. On Monday, winds picked-up and smoke and ash from the fire blew into San Luis Obispo County. Ash was falling in South County, and smoke filled the air in some areas of northern SLO County. Fire officials say the blaze is 18 percent contained. It is unclear when officials expect to have the fire fully contained. 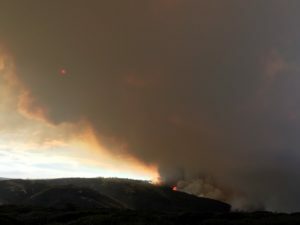 The Canyon Fire broke out Saturday at the southern end of the air force base. Later in the weekend, about 400 residents in San Miguelito Canyon received evacuation orders. The orders remain in effect. Helicopters and air tankers have been assisting ground crews from several firefighting agencies that are battling the blaze. At least two firefighters have reportedly suffered injuries. The blaze nearly burned a Vandenberg fire station, but firefighters saved the building. The fire has also caused power outages at the southern end of the base. Investigators have yet to determined the cause of the fire. Oh yeah; I forgot these rockets were launched using compressed air. Isn’t the very nature of a launch pad is to catch on fire without damage?